New Delhi 22nd March: Ritesh Rawal foundation’s initiative Learning by doing movement– which encourages students to adopt concept-based learning was successfully implemented in the Jhajjar district of Haryana, thus marking the beginning of a nationwide campaign to touch-base the rural masses with new learning & teaching methods. The Learning by doing movement also expanded its outreach to villages like, Badra, Bhadhani, Bajidpur, Dadritoy within a month of implementing it in the first school at a Government school of Sikandarpur in District Jhajjar. The expansion of the first phase launch was held at Govt. School Dadritoy, District Jhajjar. 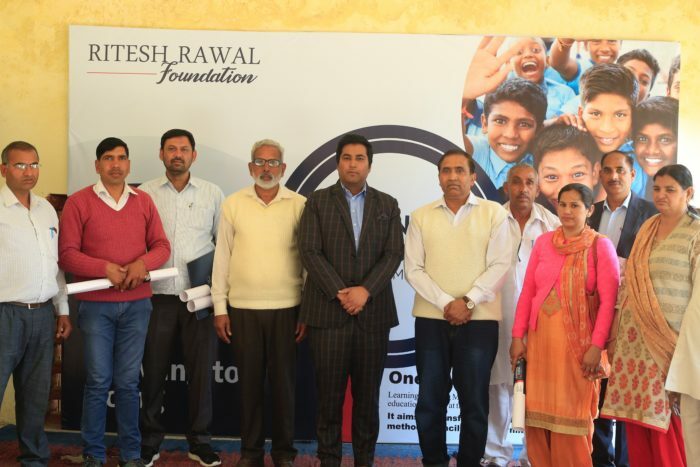 The Program was chaired by Mr. Ritesh Rawal, Founder – Ritesh Rawal Foundation in the presence of Mr. Surendar Singh Chauhan, District Elementary Education Officer, District Jhajjar and the principals of the schools. Next articleDo You Need the Magic Wand of Perfection?